SSC JHT Admit Card 2019– The admit card of SSC JHT 2019 has been released online by SSC Eastern Region and SSC Southern region. Remaining regional SSC’s will shortly release the SSC JHT 2019 admit in the first week of January 2019. The competitive examination will be conducted on 13 January 2019 for recruitment to the posts of Junior Hindi Translators, Junior Translators, Senior Hindi Translator and Hindi Pradhyapak. The commission will not send the SSC JHT 2019 Admit Card by post to the postal addresses of students. Hence, applicants have to download the duplicate SSC JHT Call letter from the regional SSC’s web portals. To download the SSC Junior Hindi Translator Admit Card, some details are required, such as Registration Number and date of birth. 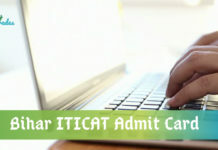 We have hosted the direct link to download the SSC JHT admit card 2019 on this page, after its official release. 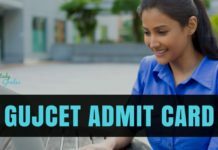 How to download SSC JHT Admit Card 2019? 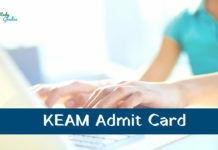 Candidates will receive the admit card on their postal address. However, if any candidate fails to receive the same, then, follow the given steps to download the duplicated SSC Junior Hindi Translator 2018 Call Letter. Now, enter your respective registration number & date of birth. SSC JHT Call Letter 2019 will appear on your screen. Take its printout and save the print copy of SSC JHT admit card till the completion of the recruitment process. NOTE: Check all the mentioned details on the SSC JHT 2019 call letter before downloading and in case of any discrepancy, contact to the officials. Stay Connected With StudyGrades for latest updates on SSC JHT Admit Card 2019.! !